The Inspire Home Fragrance Gift Set was inspired by the pages of Better Homes and Gardens. The gift set contains one Full Size Warmer, one Accent Warmer and two Value Waxes of our best-selling frangrances, Spicy Cinnamon Stick and Vanilla Cookie Crunch. 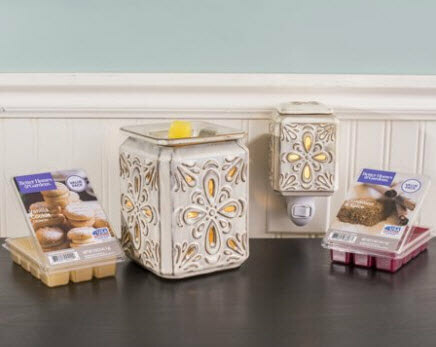 The warmers glow with a soft illumination when it is plugged in.